Ventilation systems alone can provide comfort cooling for most of the year in the UK. However, on hotter days they are unable to maintain internal temperatures below 25°C. It is at this point that additional cooling is required. Using evaporative cooling as an integral part of a balanced ventilation system means that the temperature of a building can be controlled even on the very hottest days. Evaporative cooling works by employing water’s large enthalpy of evaporation vapourisation. The temperature of dry air can be reduced significantly through the energy transfers involved in the phase of liquid water to water vapour. This natural process of cooling is far more energy efficient than refrigeration, requiring no energy input. The only energy used in an evaporative cooling system is for the ventilation system fans and the small internal water pump within the unit. For more information please see our how evaporative cooling works page. EcoCooling developed a calculator to estimate the possible energy savings for all of our systems, inputs include historical weather data and fan data. Cost analysis can be performed for any size data centre or telecoms room in most locations worldwide. Please contact sales@ecocooling.org for more information for your location. CREC® systems have assisted both new build and retrofit data centres to achieve PUEs of below 1.1. The fans that drive air flow are the most significant energy consumer in the system, and the use of efficient electronically commutated motors is instrumental in minimising energy use. Exploiting EC fan technology can reduce the power required further, meaning PUEs of 1.05 are now achievable in optimum environments. See our data centre case studies page for more information. Legionnaires’ disease is a form of pneumonia. It is contracted by breathing in very small droplets of water contaminated by Legionella bacteria. It is estimated that there are over 40 million evaporative coolers world-wide and there has never been a case of Legionnaires’ disease attributed to a wetted media evaporative cooler. UK legislation regarding Legionnaires’ disease is contained in an HSC guide called Approved Code of Practice (ACOP) Legionnaires’ Disease: The control of legionella bacteria in water systems L8. 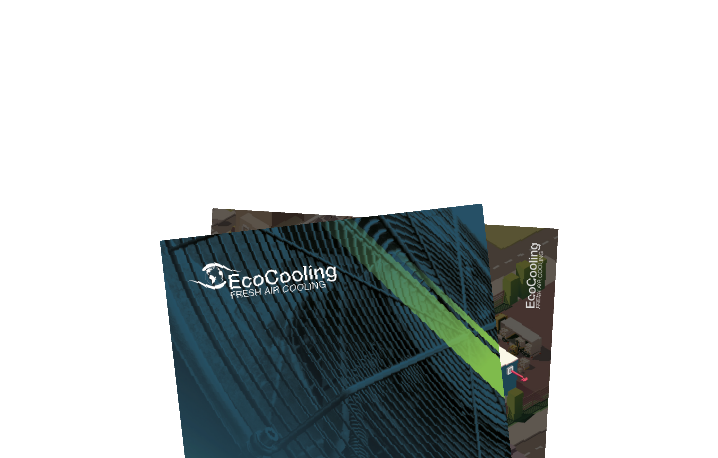 EcoCooling produces a range of fact sheets and a complete Legionella control manual which exceeds the requirements of this legislation. Please follow this link to a downloadable presentation on Legionnaires Disease. For our full risk assessment pack please contact sales@ecocooling.org.